Want to feel close to a loved one far away? Or in the next room when it's too much work to get up off the couch? 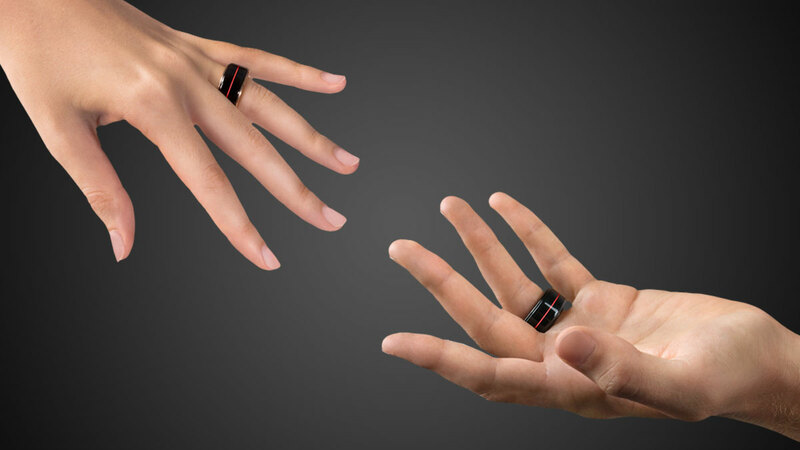 As part of their mission to "make the most personal connecting tools," TheTouch is finishing up development of the HB Ring, jewelry that tracks and transmits the real-time heartbeats of its wearers to one another's fingers. Let's say my girlfriend, She-Ra: Princess of Power, and I get a pair of HB Rings. When I'm at work or in Vegas with my friend Cornelius and her soul aches for me, all she'll have to do to feel my presence is double tap her ring. It will light up to indicate a request for heartbeat was sent, and then, a few seconds later, my pulse will pitter-patter through to her finger. Or pound if I've just placed an ill-advised bet at the blackjack table. She-Ra will be able to keep her neediness subtle sentimentality to herself too; my HB Ring won't alert me of her request, or show that she's activated her own. A thought: It might not be a good idea to lie to your S.O. about going to bed early or being at the gym while wearing an HB Ring. S/he will be able to both feel and see your current heart rate after tapping the request. At printing, HB Rings were available for pre-order, with shipping anticipated to begin in November / December 2016. 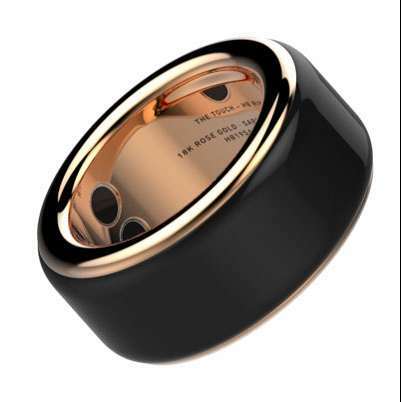 Ring housings are made of stainless steel, with an option to upgrade to solid rose gold. 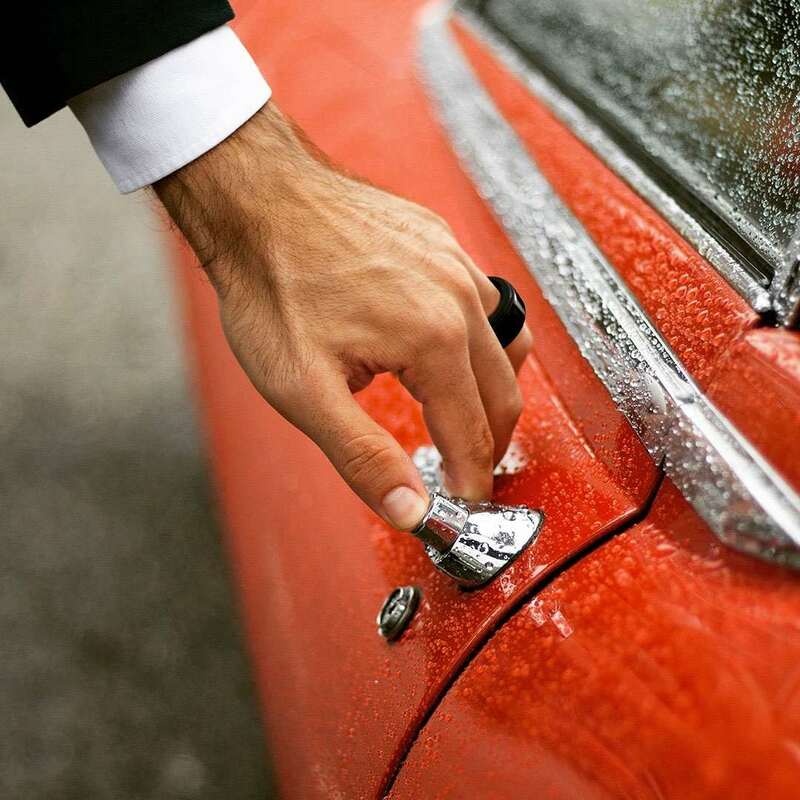 All rings also come with a sapphire crystal unibody that TheTouch says makes them virtually unscratchable. They are also water-resistant and can be worn while washing your hands. In addition to the rings themselves, you'll need a smartphone with active data plan or Wi-Fi connection to use the heartbeat feature.